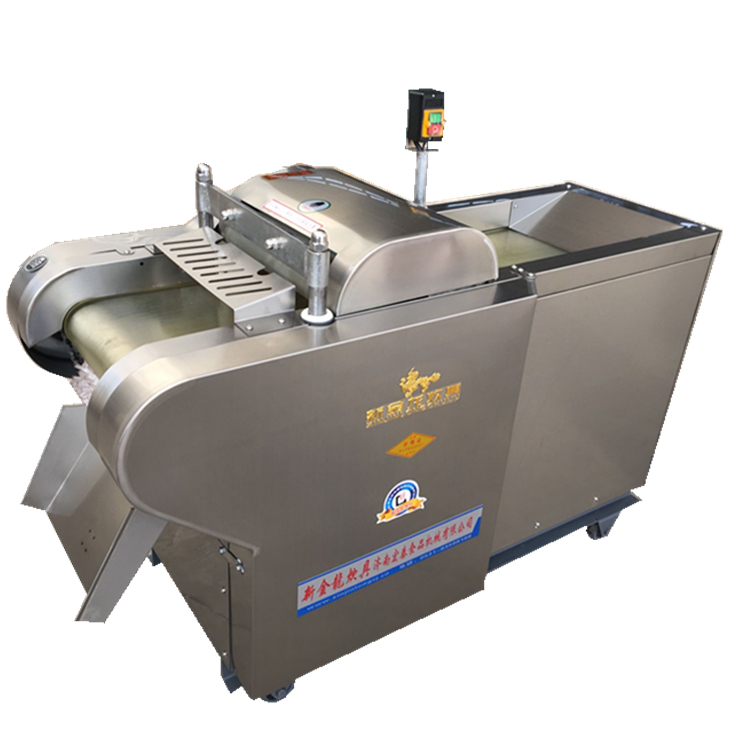 The whole machine is made of stainless steel and sandblasted. 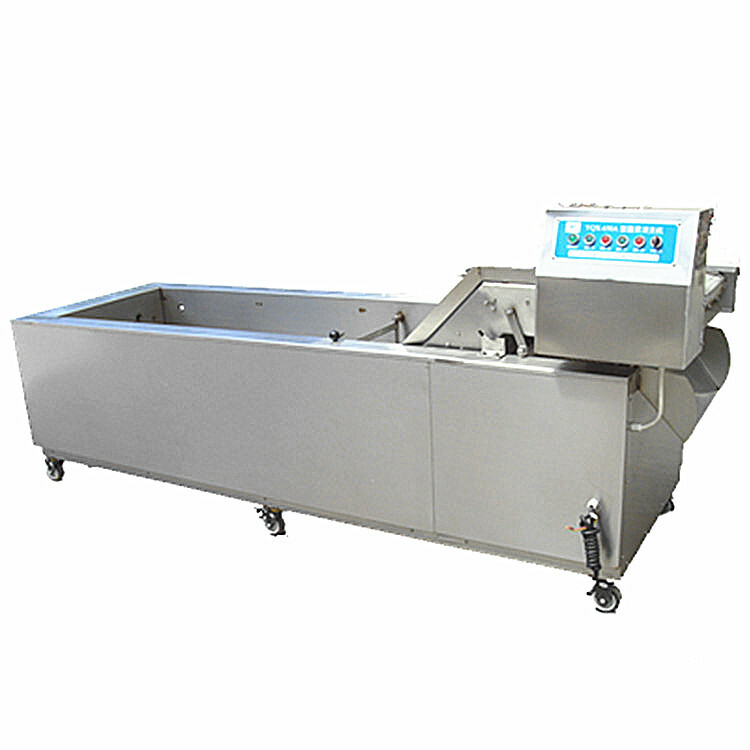 It has reasonable structure, safe use, exquisite appearance and is easy to clean. 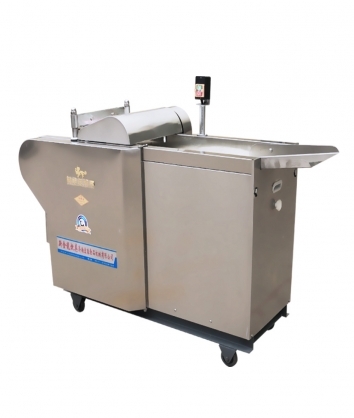 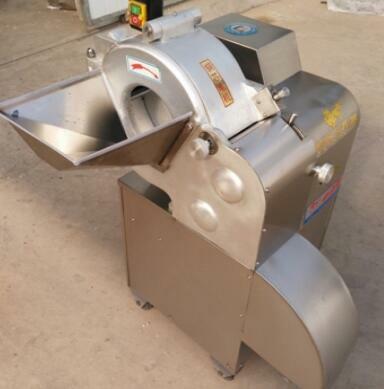 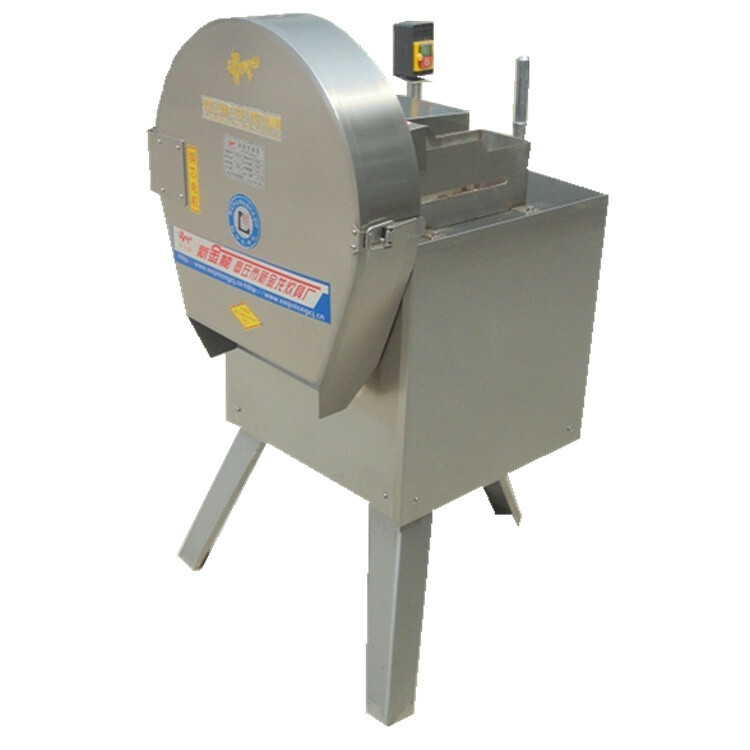 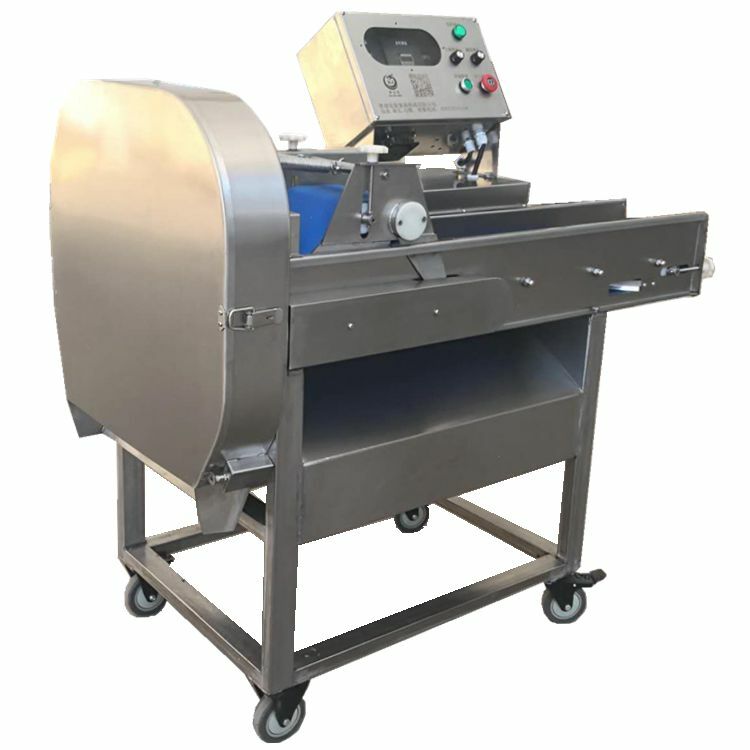 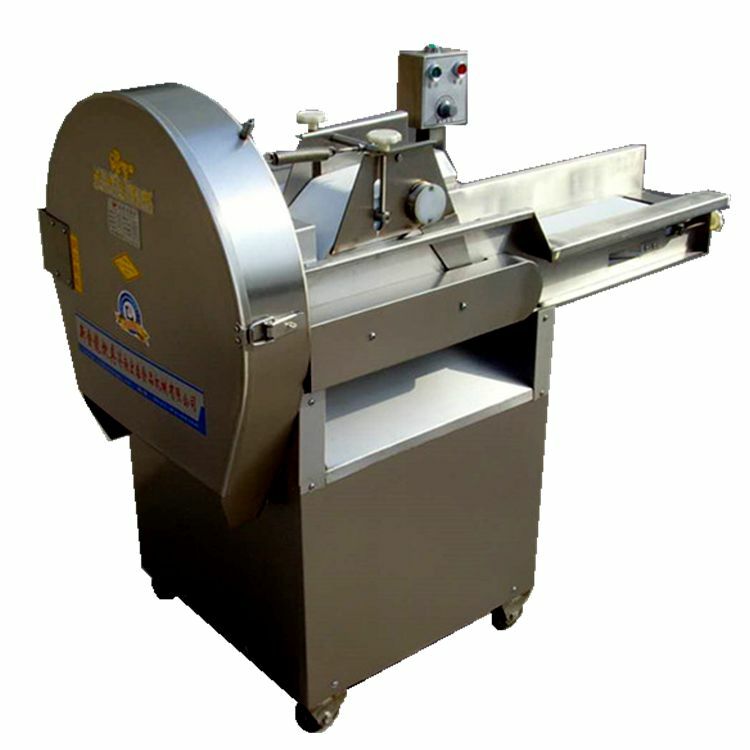 It can cut frozen meat, fresh meat, cooked meat, some fruits, vegetables, seafood and bony poultry products. 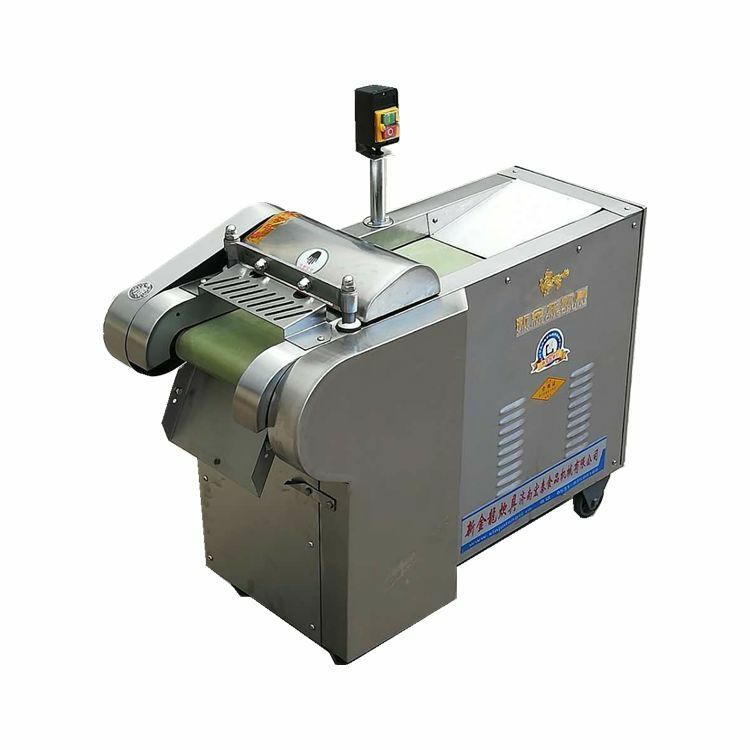 Cutting, can be cut on the D, lines, strips, slices. 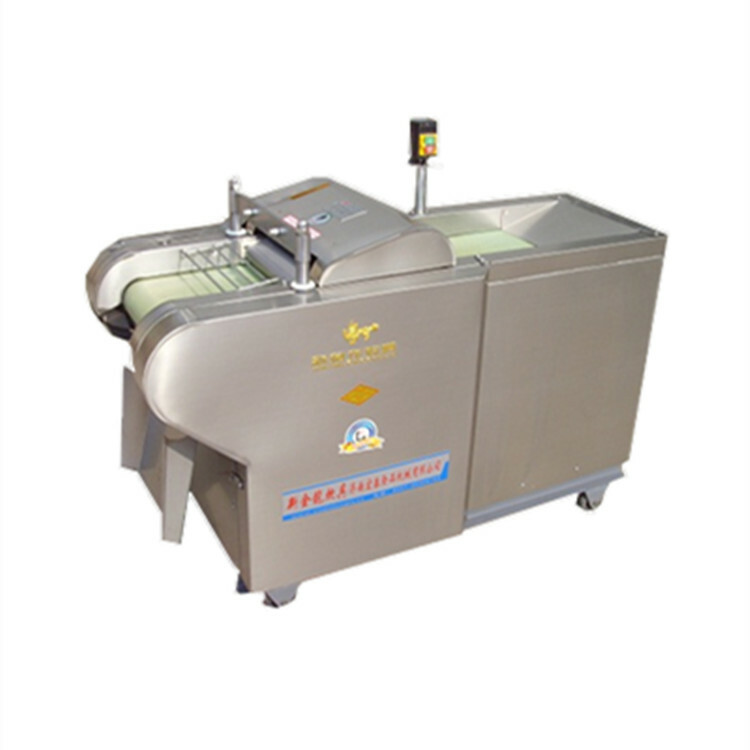 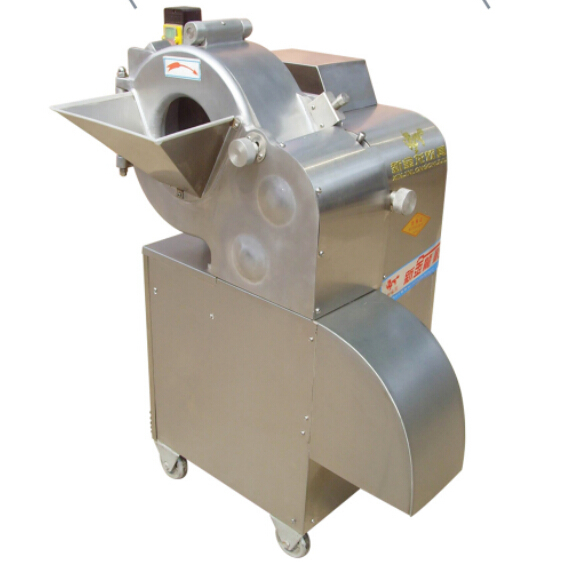 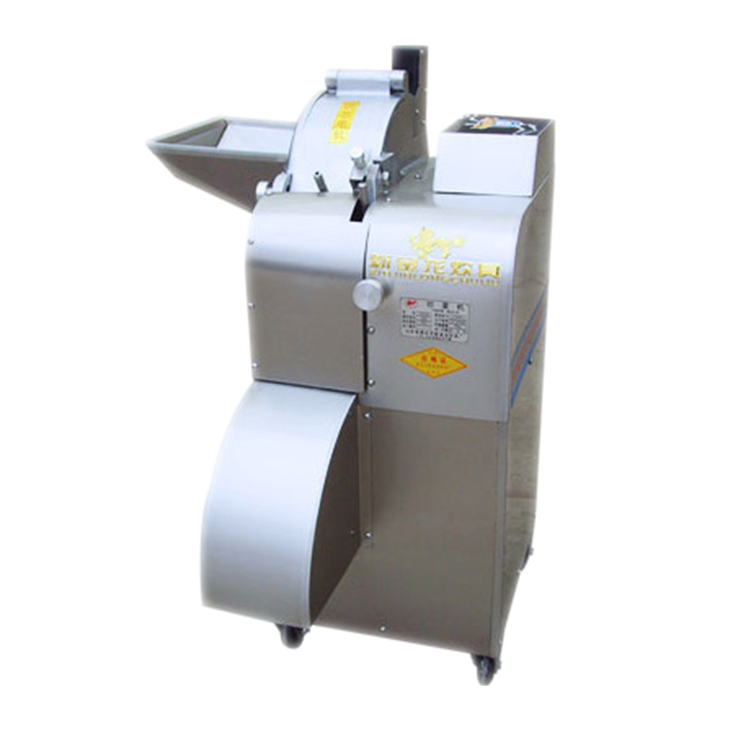 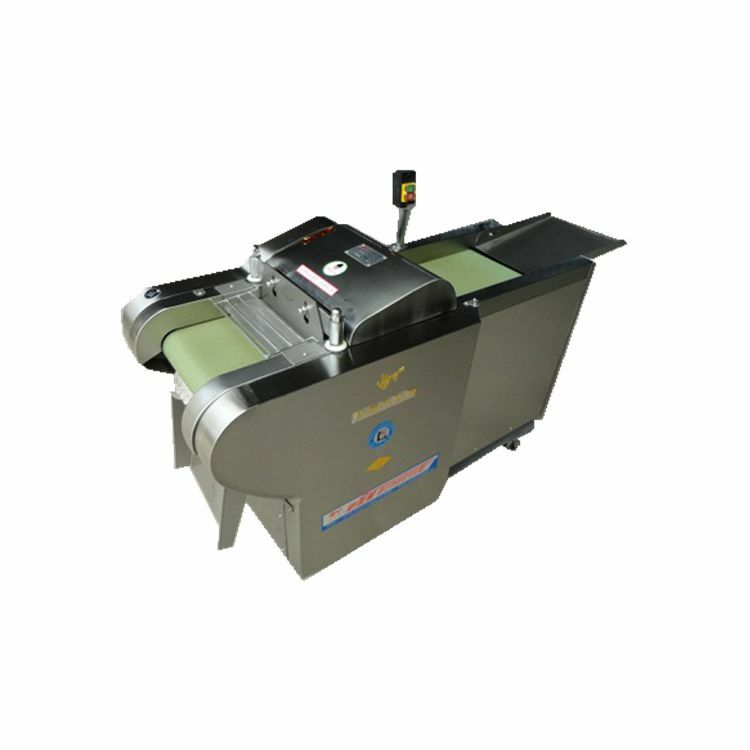 There are two main actions of Apple dicing machine: pushing motion and cutting motion. 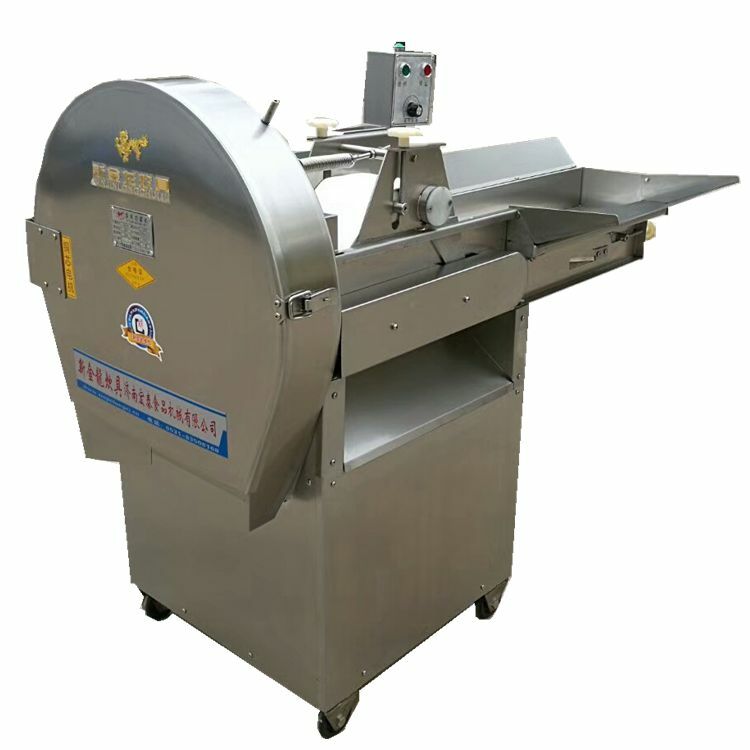 The meat in the cutting groove is pushed forward to the knife grate area by a push rod during the pushing movement, and the meat is cut into diced meat during the cutting movement. 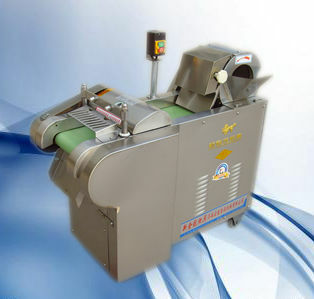 When the current door closes and the pressure measuring mechanism completes the pressure measuring movement, the corresponding two induction switches act, turn on the control power supply, the oil pump works, the push rod advances rapidly and squeezes the meat until it reaches the preset value, the push rod becomes slow, the cutter grille and the cutter stop cutting, and the push rod drives the push block to return quickly to the starting point and another induction switch under the push block. 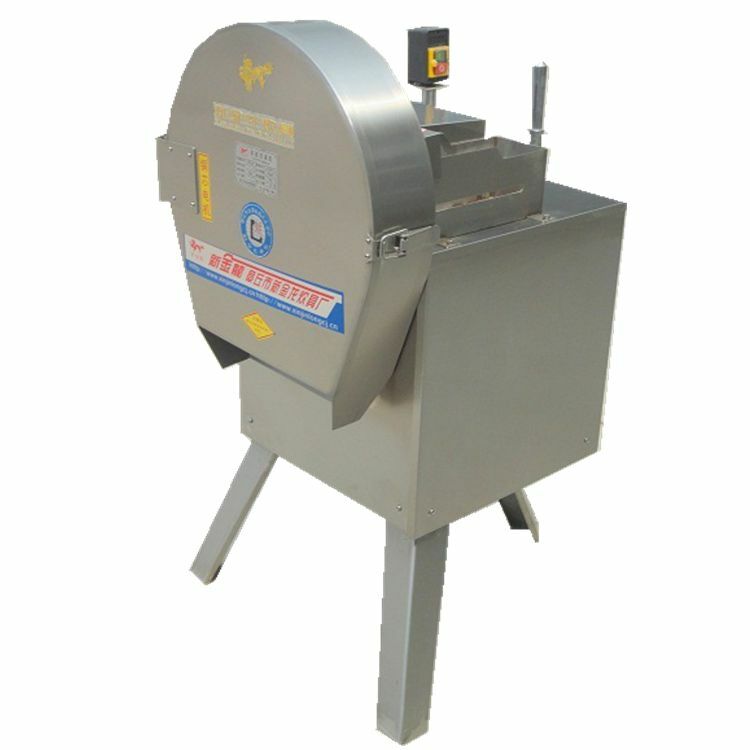 Close the oil pump, stop the pusher in the distance, complete a work cycle, feed again, prepare for the next cutting. 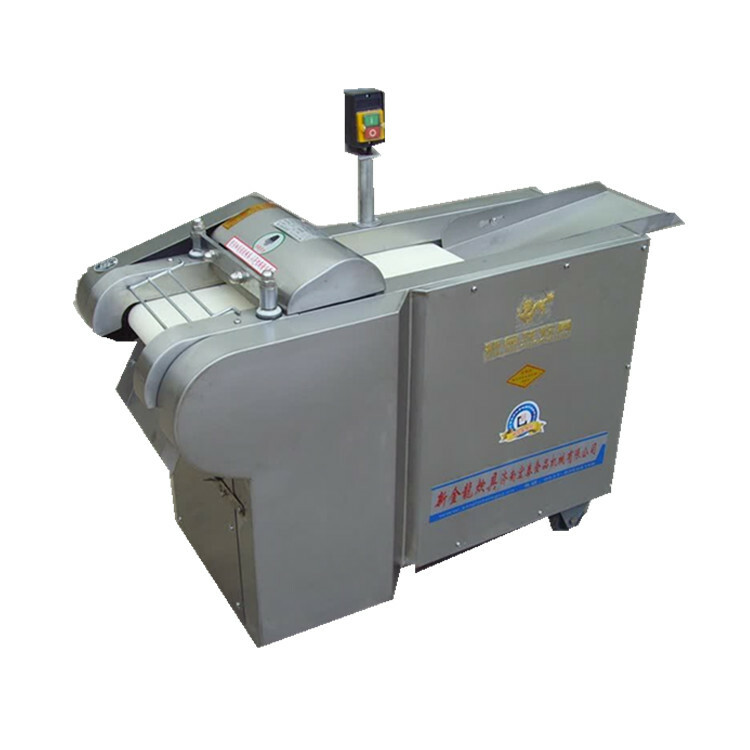 The main motor drives the spindle motion through the reducer, the fork on the spindle drives the upper grille, and the lower grille moves up and down and left and right to reciprocate. 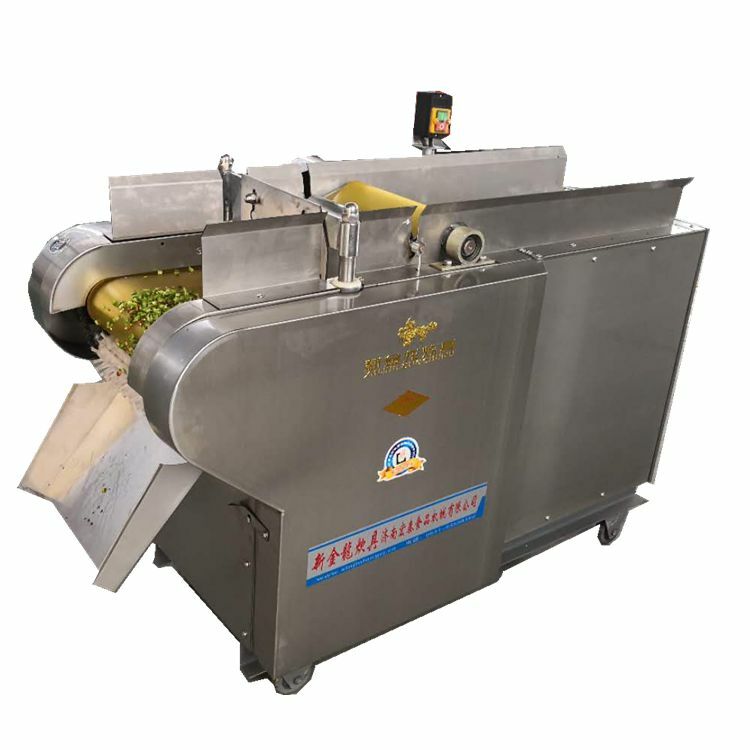 The fruit and vegetable pushed out by the pusher are cut into strips, and then the fruit and vegetable are cut into fruits and vegetables by the cutting knife. 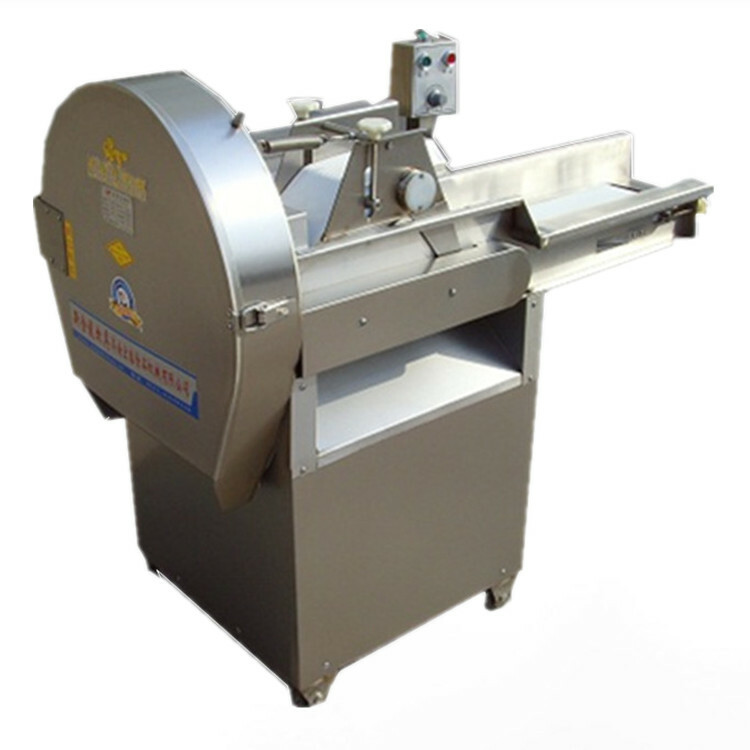 Apple dicing and slicing machine can be used to cut dices, strips, silks and slices. 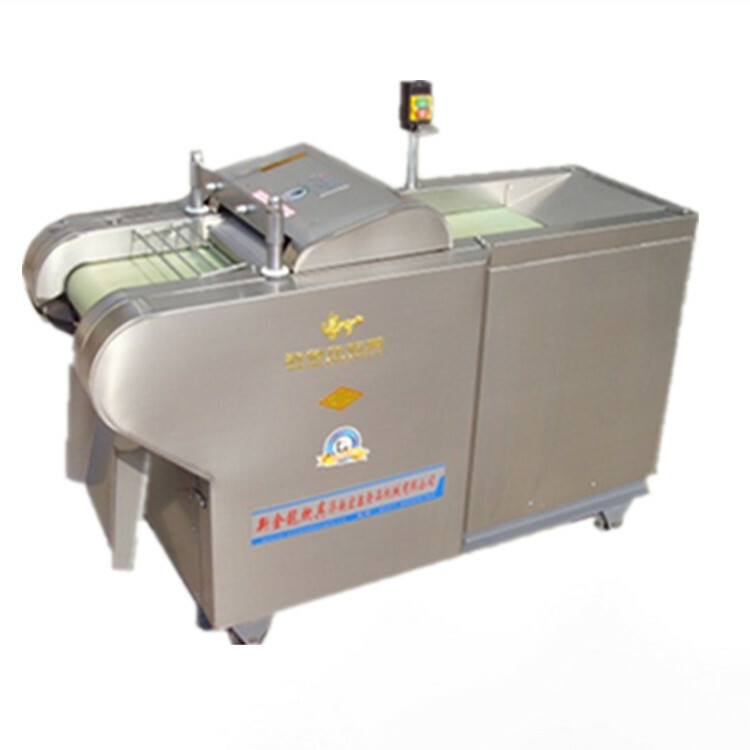 Cutting synchronization is good, easy to operate, tool cleaning is convenient, replacement and disassembly is convenient. 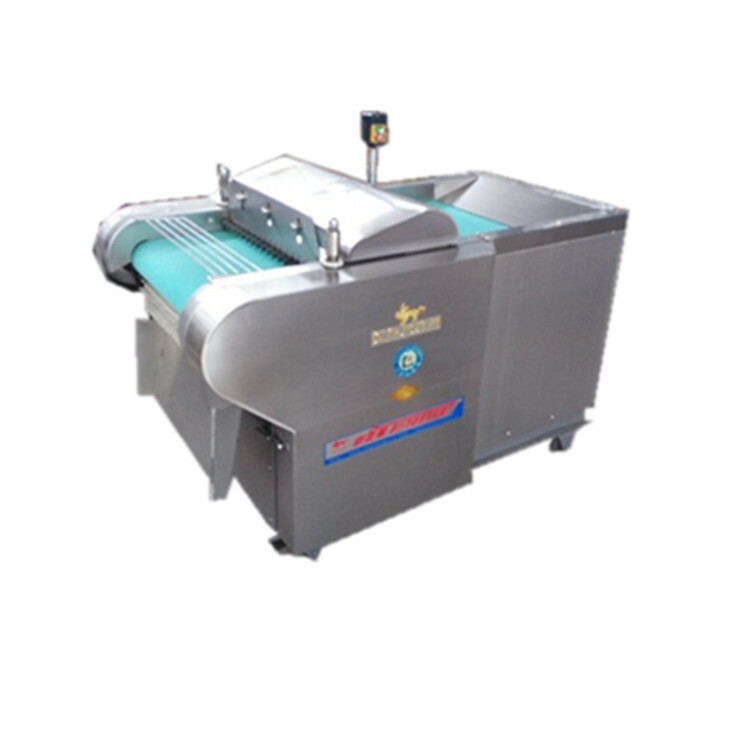 High production efficiency, good operation safety, continuous production. 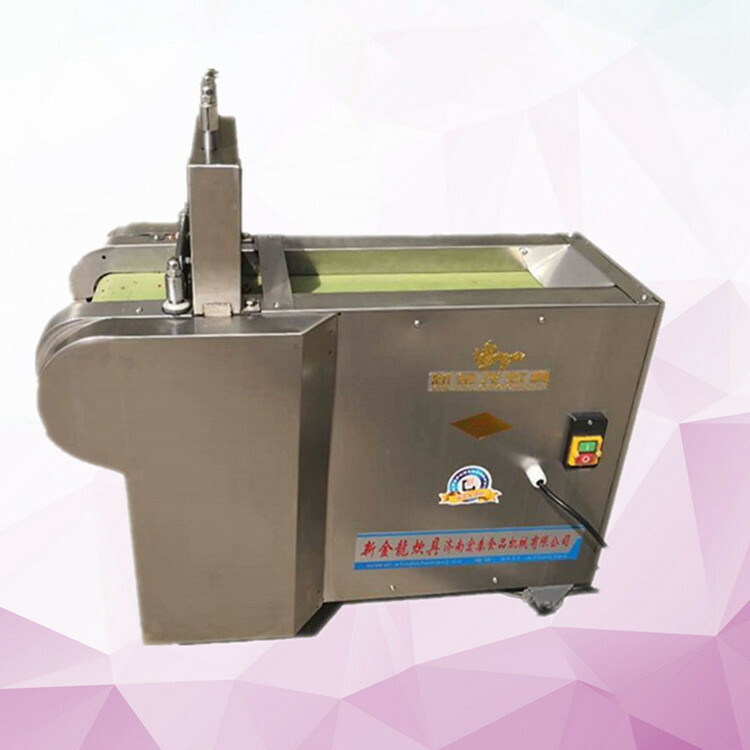 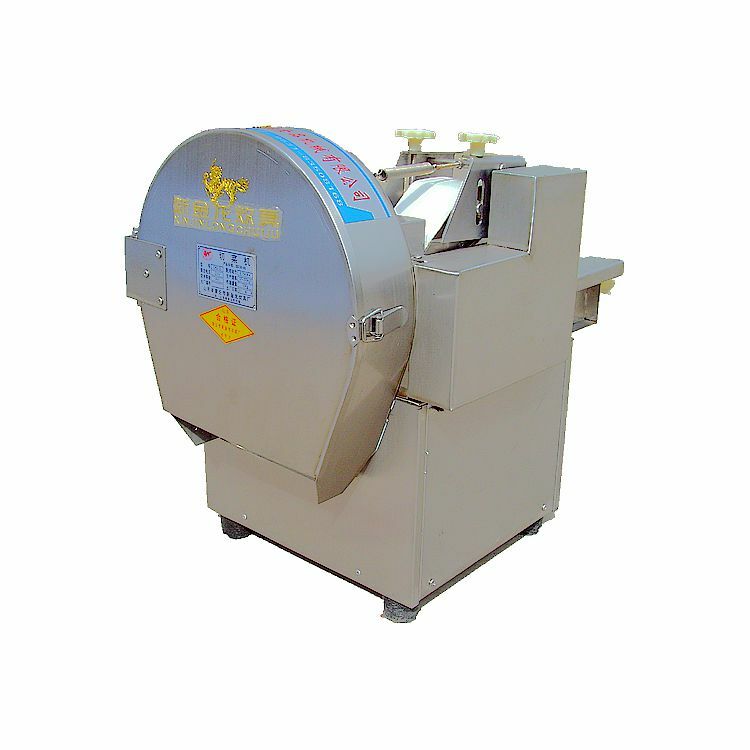 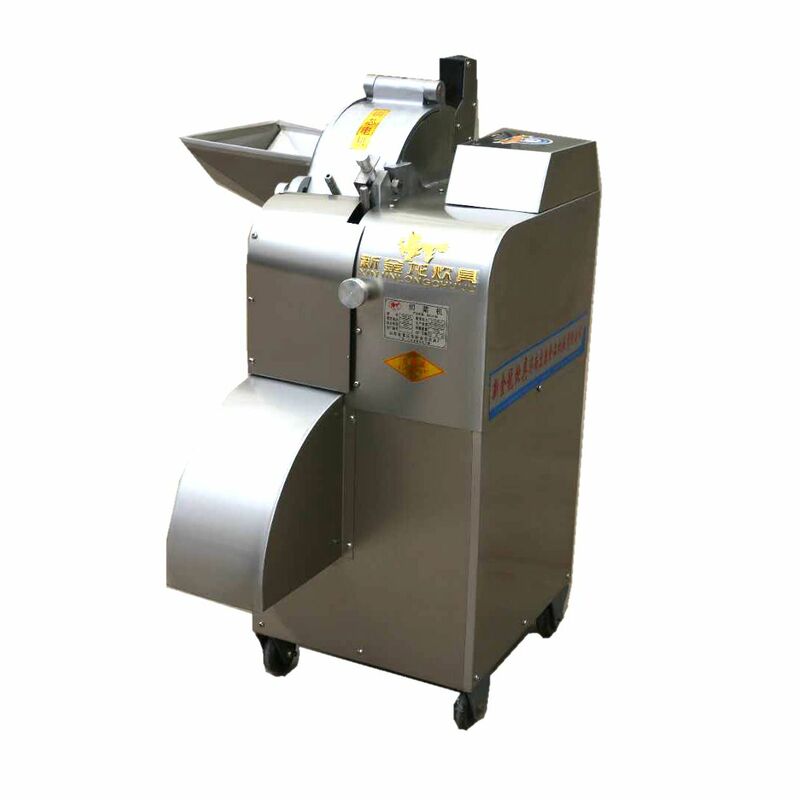 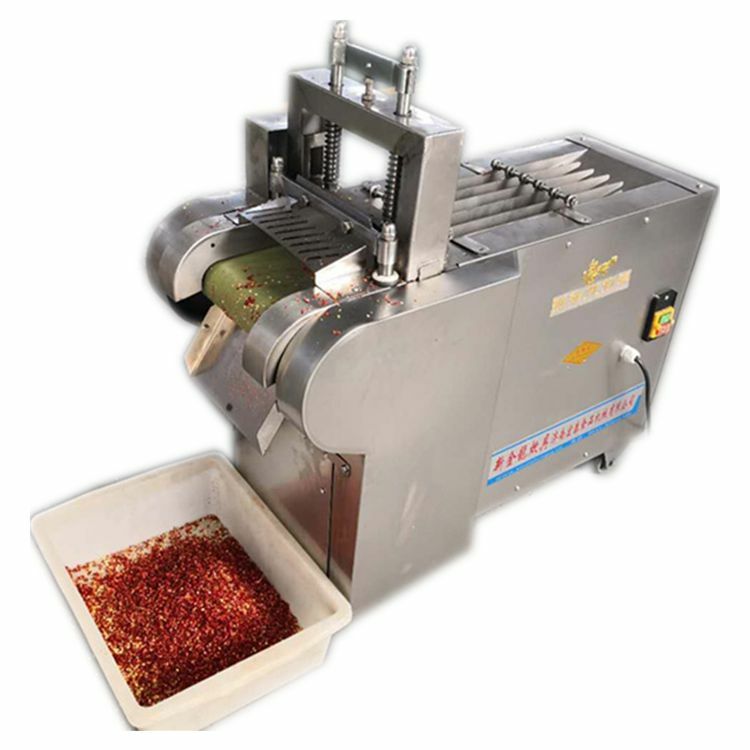 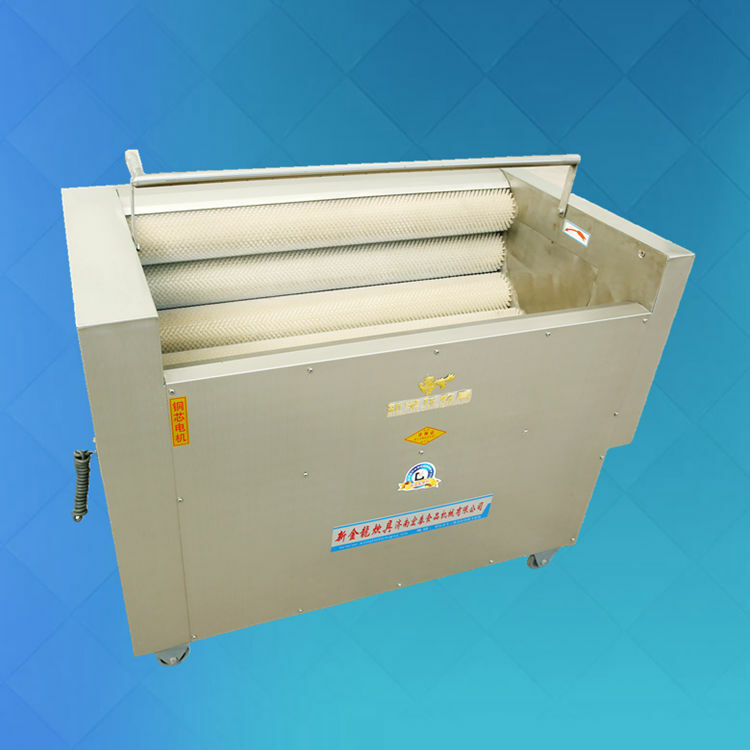 Uses of Apple dicing machine: fruit and vegetable dicing machine can dice carrot (strip), potato (strip), taro (strip), potato (strip), melon (strip), onion (strip), green pepper (strip), mango (strip), pineapple (strip), apple (strip), ham, konjac, papaya, bamboo shoot and other diced, or long strips. 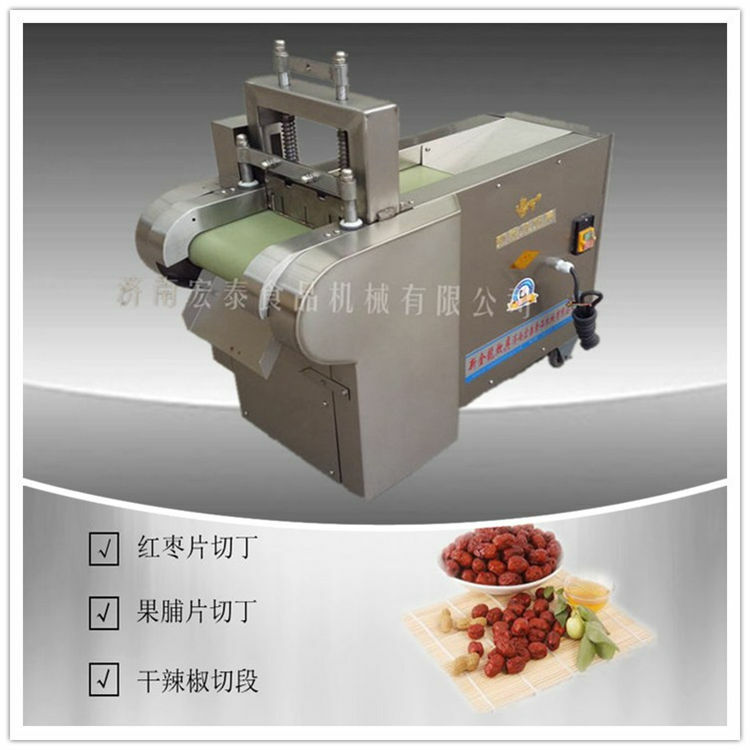 The section is smooth and beautiful. 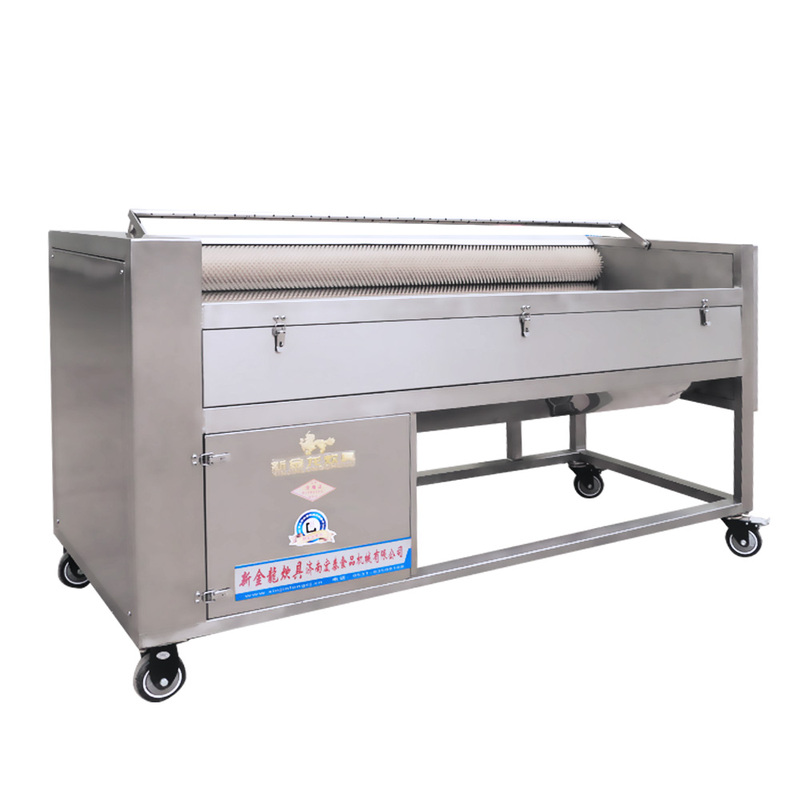 The frame of the machine is made of uniform SUS304 stainless steel, which is corrosion resistant. 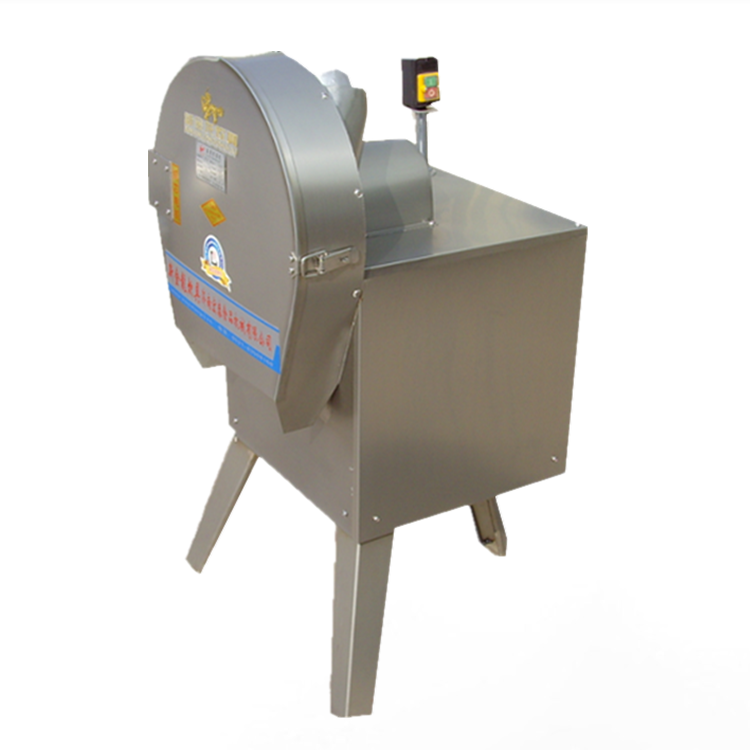 There is a micro switch at the inlet and outlet, which is safe to operate. 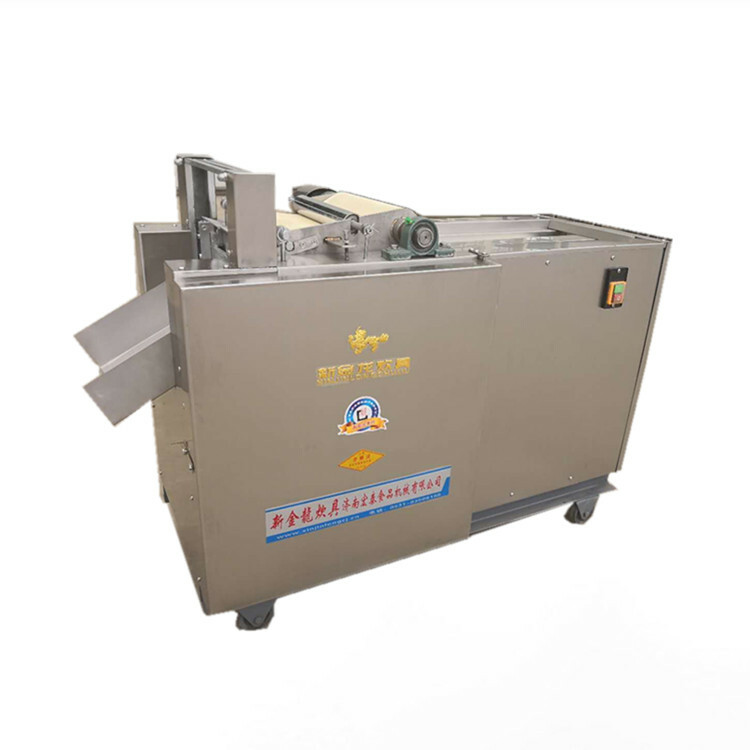 The cutting speed is fast, which can be equivalent to the workload of 25 people.